My Personal Blog | Its My Life !!! Hey there! Thanks for dropping by My Personal Blog! Take a look around and grab the RSS feed to stay updated. See you around! Make Us Proud Of Ourself !! 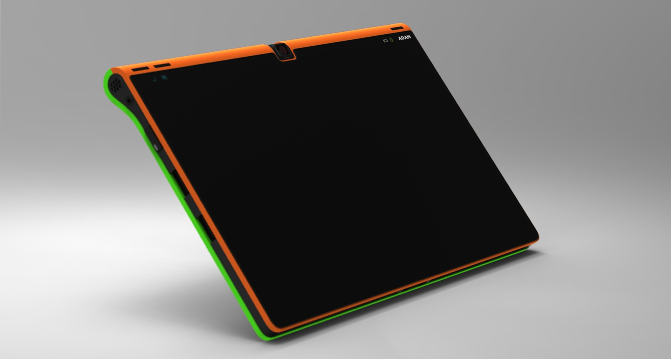 On a one to one comparison , seems like each tablet has its own positives and negatives. In WeTab.. 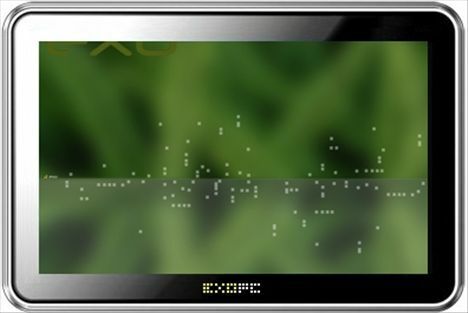 I really loved its UI… Wow what an innovative UI it has..
Anyways, If I need to compare and decide which one would I buy, I would definitely go for the Notion Ink Adam anyday.. Mostly because of its features and a little because its a Tablet By an Indian Company. The Adam comes with marvellous specs and a mind boggling Price Tag !! It features 3 USBs.. a Swivel Camera… a Battery life of 16 hours.. 😮 and most importantly a Pixel Qi Screen.. Now I can even go out in Sun and still use my Tablet.. Wooooooowwwwwwww !!!!! In case you have in Mind a better iPad Killer do let me know.. and I would like to consider it as well.. Till then Hats Off to Adam.. My Love..
Anyways, it seems the World Bank is quite positive about the future of India, and sees it as an Elite country by the next generation provided it develops on its infrastructure !! Well. now this is a question for all Indians around the world.. What do you think keeps the Indian Government from investing in Infrastructure even after it collects a hell lot of money as taxes ?? Yes I know what would be your answer … “Population”, “India is a Democracy” and yes the “Evil Corrupted Government ” !! 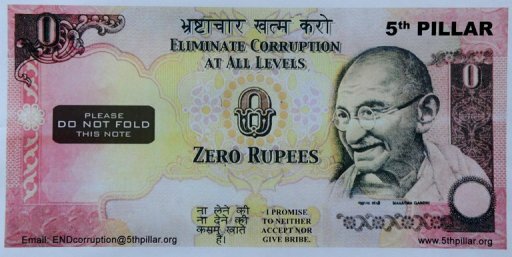 Its a novel anti-corruption tool, the zero-rupee note that can be handed over to any crooked bureaucrat who seeks a little extra payment. The protest note — literally worth only the paper it is printed on — is being promoted by 5th Pillar (http://india.5thpillar.org/ ), a group that campaigns on behalf of ordinary Indians who are forced to grease the palms of millions of civil servants. The step though it may seem small but is major and may be the first step we can take to make India , Our India ! !, the Best around the world.